Does this affect our appearance? Have you ever wondered why somebodies appearance is different then yours? The skull actually has an effect on this. The human skull is made up of 26 bones all which can effect ones appearance. A persons skull takes over a different form over time. Their appearance also changes. Ones appearance can be determined by the characteristics of his or her skull. When you are born your bones are not yet fused together which allows the skull to change slightly during birth. "The bones fuse together around age two, but the skull continues to grow until age seven". (Human 1) The length of the diaphyses (long bone) when 6-7 years of age can be determined to estimate ones age. "The skull consists of five thin curved bony plates that are called sutures". Sutures allow a baby's skull to expand when their brain is growing. "The sutures gradually harden to join the skull bones together". The spaces where the sutures meet are called soft spots or they can be called fontanelles (Skull 1).The skull is different for everyone which is why everyones appearance is different. (The Human 1). Ones skull may stop growing at age 10 but your skull does not become completely fused together until he/she is 20. As you become older your brain starts to shrink. This causes one's skull to change shape. This affects a persons appearance and the size of their face. At age 50 ones skull starts to wear out (The Human 1). When you are older everything in your skull is completely developed but a few things can go wrong. One of them being memory. Someone losing memory can be caused by a disease like alzheimer's or dementia. When becoming old your brain starts to shrink a little bit in his or her skull (The Human 1). When somebody is old his/her skull starts to decay. 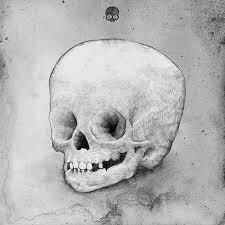 A persons appearance can be determined by the skull because your skull has different characteristics than someone else. Every bone in our skull is different changing how big our head is. There is clear proof that our skull does effect our appearance because without the skull our face would not have a form. Healthwise staff. UofMHealth. Healthwise, 2010. Web. 5 Feb. 2014. Farr, Gary, Become Healthy Now. 10 Dec, 2011. Web. 21 Jan. 2014.